Coco Chanel is listed as one of Time Magazine’s 100 most influential people of the 20th century. She is a fashion icon, of course, as is their apparent reasoning, but she was also negatively influential as a Nazi sympathizer and spy for the Third Reich. It is hard to determine with any accuracy the absolute certainty of all the allegations against Chanel, as she spun many stories about her life. The anti-semitic Nazi story revealed in Sleeping with the Enemy by Hal Vaughan, is in fact, denied by the current House of Chanel. Representatives say that Coco Chanel was merely involved in a love affair with a German aristocrat and that she had Jewish friends. Nazi documents found within the French and British Defense Ministries verify the truth of it all. Chanel was an active agent of the Abwehr – a Nazi intelligence organization. 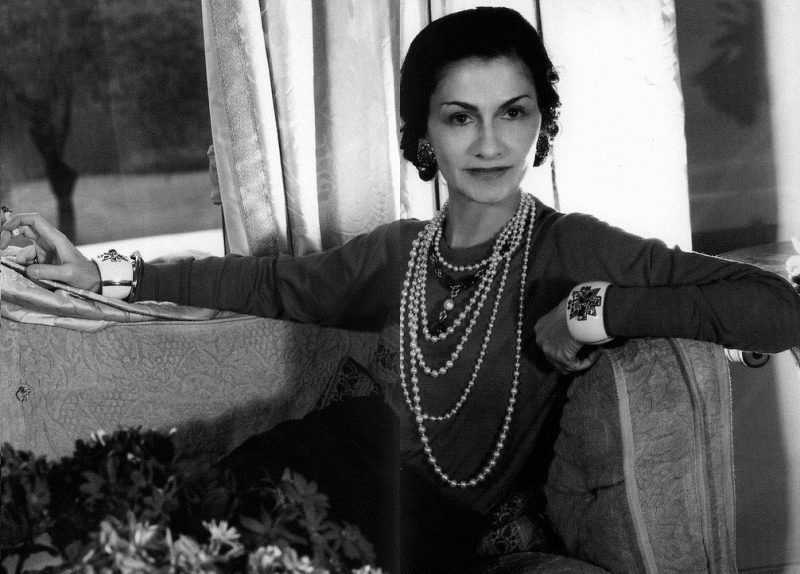 We think of Gabrielle “Coco” Chanel as a paragon of style and as such, imagine her to be a person of class. Interestingly, she was born to very humble and troublesome beginnings in a poorhouse charity hospital. The love child of a poor French couple, her mother’s family paid her father to tie the knot. He was a traveling salesman of sorts, selling clothes and underwear on the streets, and could not afford to keep his family of five in anything more than a one-room hovel. Her father returned home from a trip when Coco was 11 years old to find her and her sisters in a room with their mother’s lifeless body. Her father divested himself of the children, with Coco and her sisters left at a Catholic orphanage where she remained until adulthood. The seedy truth of it all did not measure up to Coco’s standards, so for biographers and the news media, she spun varying untruths about her early years. It was not the only thing about which she lied, and certainly not the only thing she embellished. Her rise in social status did not occur until years later, after stints as a seamstress and as a cabaret singer, where she took on her nickname, Coco, a play on the French word for “kept woman.” She must have taken some pride in the comparison as she later made the camellia one of the icons of her design house in reference to the courtesans use of the flower as a discreet sign of the freedom to take a new lover. The name became fitting when she became the kept pet of the heir of a textile empire, Etienne Balsan. After he adorned her with expensive gifts, possibly fathered a secret child with her, and introduced her to the life of society, she betrayed him with his best friend. She found the dalliance amusing and bragged about the two men fighting for her attention. Her career in fashion began as a hobby, making hats, and later took off when, in a possible nod to her father’s wares, she started making clothes from jersey – a material used at the time primarily for men’s underwear. 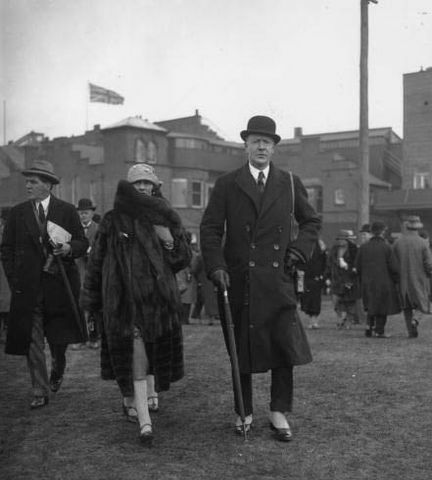 Whether or not her fashions were accepted due to her connections, or to her merit as a designer, she rose in both spheres through many illustrious affairs with politicians, royalty, and the aristocracy, including the British Duke of Westminster. An affair with the poet Pierre Reverdy is thought to be the source of Chanel’s oft-quoted clever quips. Her own writing was not as witty and well crafted. Hal Vaughan was investigating her fight over Parfums Chanel with its Jewish backers when he stumbled upon the spy story. She had used the war as a reason to seize control of her Jewish partner’s share in the Chanel perfume fortune. The company, Parfums Chanel, was financed and wholly managed by Pierre Wertheimer and his brother. Chanel provided her name, image, and the formula and the Wertheimers were responsible for everything else. The split was 70/30 with Chanel being on the low end. When the war broke out, and Jewish property was being seized, Chanel took the opportunity to appeal to the German government for full ownership of the brand as was her right as “an Aryan” under new Nazi laws. The Wertheimers, however, had anticipated trouble and had put the company in the name of a Christian associate. After the war, Chanel continued to fight for full ownership of the company and the Wertheimers reached an agreement with her to keep her reputation and that of the company untarnished. The press and legal teams were getting close to uncovering Coco’s wartime affiliations and activities, so the brothers settled to keep the brand’s image safe. She received wartime profits from Chanel No. 5, 2 percent of sales worldwide, and the brothers agreed to pay her lavish living expenses – no matter the amount – for the rest of her life. According to Vaughan, the Wertheimers would not be pleased with the issue coming to light even now. Coco’s involvement in Nazi affairs began when she moved into the Hotel Ritz in Paris in 1939. The hotel had become the German Air Force Headquarters. There, Coco found love with Nazi officer, Baron Hans Günther von Dincklage. It was not her affair with the Gestapo officer and experienced intelligence agent through which she became an agent, however. New findings seem to indicate that Chanel was recruited by Baron Louis de Vaufreland, a German double agent of French aristocratic birth. Chanel may have been enticed into the work with promises of freedom for her nephew who was at the time in a POW camp. Hal Vaughan surmises that she neither sympathized nor cared about current politics and was an opportunist that sought advantages with those in power. However she became involved, she became an agent of the Abwehr in 1941, nearly a year after the German occupation of Paris. Her code name, Westminster, referenced her affair with the Duke years earlier, but only time knows with what affection. Her agent number was F-7124. Coco was a well-known social genius, and Vaufreland used her talents on her first mission. They traveled to Madrid to recruit spies, using Chanel’s charms to draw out those sympathetic to the Nazi cause. He also used her connections to gain entry to certain circles and to use her as a cover while he carried out his own work. She was not a now and then pawn. Chanel worked at least two missions with Heinrich Himmler, one as a double agent. 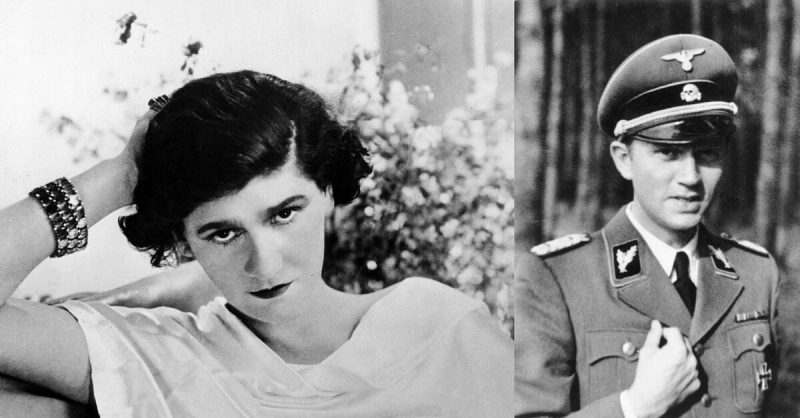 The Gestapo knew of her connections to the British aristocracy and thought that she would succeed in convincing Winston Churchill to form a truce with the Nazis that wanted to depart from Hitler’s control. Fortunately, through a Nazi defector, the British Government had become aware that she and Dinklage were lovers. Churchill declined her invitation to rendezvous. Chanel later testified in Vaufreland’s trial for treason in 1949. France has been holding on to this information since 1945 when they obtained it from Germany. France has from that time claimed that its celebrities boycotted the Nazis, ignoring claims otherwise. The usual story was that most had joined the resistance. In fact, Chanel is not the only one believed to have collaborated, Maurice Chevalier is suspected as well as others. As for why Britain has never exposed her, there could be something behind the rumors that it was Churchill that rescued her from punishment as a traitor. 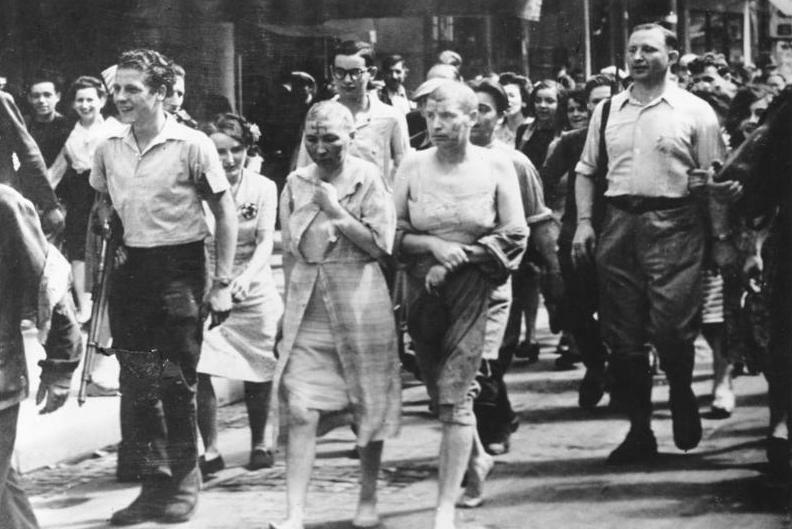 When the war ended, instead of having her head shaved and being publicly humiliated as the mistress of a German officer, or worse being tried as a traitor to her country for her involvement with the Abwehr, she was released only hours after being detained. She has been quoted as saying “Churchill had me freed.” There may also have been intercession from the British Royal family. Britain most likely would not have wanted to have it known that they freed a German spy from punishment or public exposure. Far from being taken to task for her treason, she moved with her lover Dinklage to Switzerland where they lived for many years. 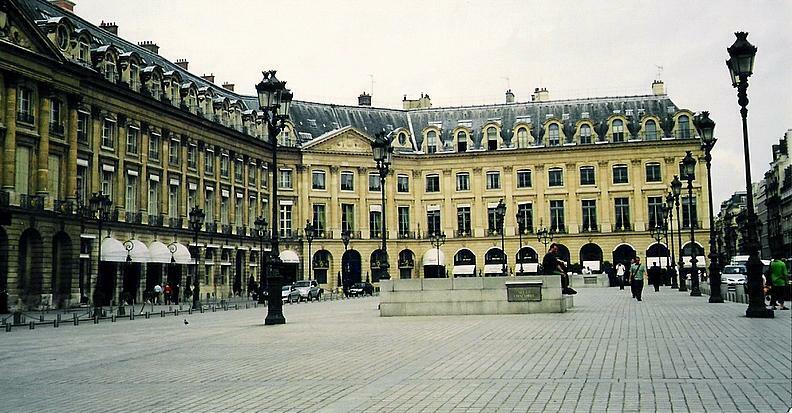 When she did return to Paris, it was on the dime of the Jewish family she had betrayed in both business and politics. The descriptions of her as a shrewd opportunist may not even scratch the surface.